The Mindfulness Movie is a fun and educational journey showcasing the worldwide brain research proving the benefits of mindfulness and the public’s increasing awareness and acceptance of the practice. The movie celebrates those who have reshaped mindfulness into everyday, practical skills. 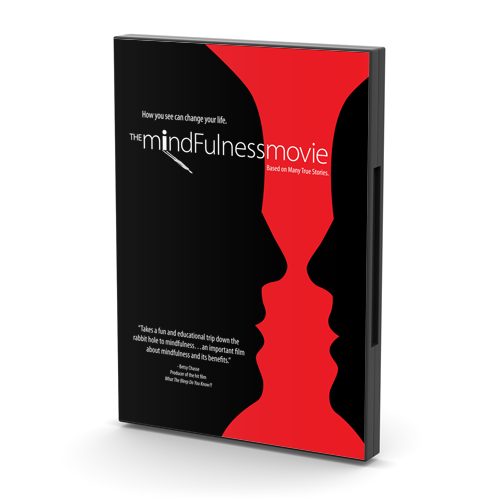 “The Mindfulness Movie takes a fun and educational trip down the rabbit hole to mindfulness, and is an important film.“- Betsy Chasse, Producer and Co-creator of the hit film What The Bleep Do You Know?! “Fun and important … especially for college aged adults.“- Dr. Ellen Langer, Ph.D., Psychology Department at Harvard University.